Here's a pic of the outside of the building. 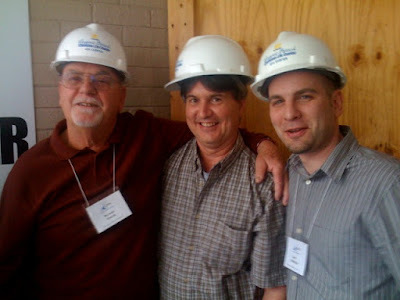 Here's a pic of Paul, Richard and myself getting ready to take a tour of the Wave's Church future building. Here's a pic of the inside of the building. 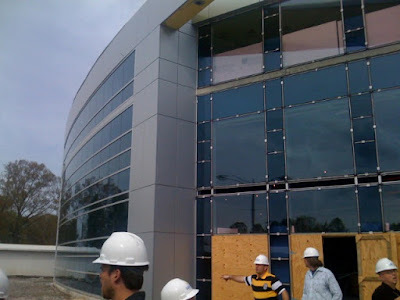 Pastor Steve took us on a tour of their new facility that is currently being built. They are building a state of the art facility that will house a church that will be 10,000 strong over the next few years. It was inspiring to be around big vision. I'm sitting in a service right now as we are getting ready to leave and go home. One of the good things that was shared was, "you don't just support the vision of the church when you are a part of the team, you carry the vision and serve." We got some good ideas and great stuff from our trip and I've enjoyed getting to know the staff of Wave Church. God is doing great things in our church and it's just begun. The vision continues to grow.